The work of conceptual Mexican artist Abraham Cruzvillegas and in particular his ongoing autoconstrucción project was a key influence for the season. Cruzvillegas collects and assembles everyday items made from paper such as envelopes, receipts and bags and paints them in a single colour later applying them onto walls as large, abstract mosaics. This act of collecting and collating mirrors how the studio begin to approach each collection. 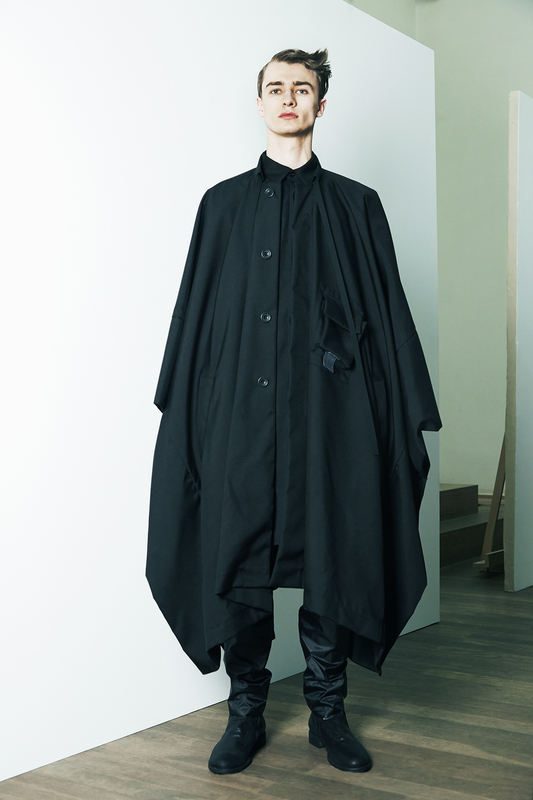 BERTHOLD AW15 began with hundreds of images of garment details that were decoded and simplified. The result is a collection with a focus on precise details. The theory of self-construction and self-made is key, mirrored in the use of engineered suede and also in the season’s print, which is a digital reproduction of leather texture.